One of the best films I saw at this year’s Sundance Film Festival was Bart Layton’s incredible documentary, The Imposter. The movie heavily employs dramatic re-enactments to tell the bizarre true story of 23-year-old Frédéric Bourdin, who posed as Nicholas Barclay, a San Antonio boy who was missing for three years. If you’re wondering how a family would be unable to recognize their own child, we’ve been sent an exclusive clip where the Barclays explain why they chose to believe Bourdin was their son. 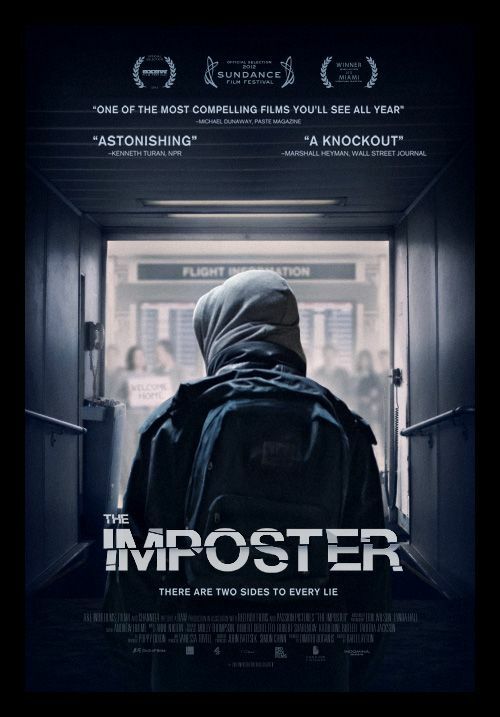 The Imposter will probably be the best thriller of 2012, and I highly encourage you to check it out when it comes to a theater near you. Click here to read my full review. Hit the jump to check out the clip. The Imposter opens in limited release on July 13th. A gripping thriller straight out of real life, THE IMPOSTER is an original film experience that walks the razor’s edge between true-crime documentary and stylish noir mystery. The twisting, turning tale begins with an unsettling disappearance–that of Nicholas Barclay, a 13 year-old Texas boy who vanishes without a trace. Three and a half years later, staggering news arrives: the boy has been found, thousands of miles from home in Spain, saying he survived a mind-boggling ordeal of kidnap and torture by shadowy captors. His family is ecstatic to have him back no matter how strange the circumstances–but things become far stranger once he returns to Texas. Though the family accepts him, suspicion surrounds the person who claims to be Nicholas. How could the Barclay’s blonde, blue-eyed son have returned with darker skin and eyes? How could his personality and even accent have changed so profoundly? Why does the family not seem to notice the glaring differences? And if this person who has arrived in Texas isn’t the Barclay’s missing child… who on earth is he?